Remember how elusive and sought after the white iPhone 4 was back in the days? Launching it took forever, but after the painfully long wait, the crowds of iFans were finally presented with a prettier version of their favorite handset. Today, the white iPhone 4 appears to be somewhat of a rare breed already, but that is not necessarily a bad thing. 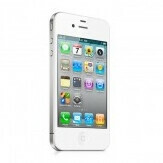 White iPhone 4 smaprtphones are being replaced by iPhone 4S at a number of Apple stores across the United States and Canada. Word comes from sources for 9to5Mac, who claim that due to short supply of the white 16GB model, people with a faulty iPhone 4 that is still covered by warranty are being given a 16GB white iPhone 4S as a replacement. Now, the sources also point out that not all Apple stores are being affected, so if you go and ask for your white iPhone 4 to be replaced, there is no guarantee that you will be given the newer model instead. Also, the iPhone 4S handsets given as replacements are said to be refurbished units. Still, considering that you get a better camera, faster processor, and Siri integration, that the replacement unit is refurbished should not be too hard to overcome. Say what you want rg, let's see an android/wp manufacturer do that. They have actually but it was Asurion insurance covering the replacements . I've heard cases where individuals with a Droid X received a Droid X2 instead. of course, once the phone is discontinued and pay a hefty deductible, Asurion will more than happy to replace it. That is correct shadow... there is a 3rd party insurance called Esecuritel, that i highly recommend to consumers. Esecuritel insurance is similar to Asurion, the difference is Esec will replace the phone in store with a new device. Another plus with Esec is.. lets say ive had a Droid 2 for a year and a half and i come in to do an Esec claim, Esec will replace your phone with the comprable device simply because they do not carry the Droid 2 in store. awww yea a refurbished 4S, i guess thats better? Does the assurance insurance cost money?? what about iphone4 8gb black verizon?